I was recently out to dinner with my wife Michele. We were at an italian restaurant that was new to us since we were visiting from out of town. I didn’t see my favorite dish on the menu so I thought I’d ask if they could make it. When I asked the waitress if the kitchen could make eggplant parmigiana, Michele looked at me as if I was being some obnoxious customer. Why? Did I do something wrong? This was an italian restaurant. It wasn’t as if I asked them to make a special order of Beef Wellington. Are customers expected to just order off the menu? This got me thinking of the state of service and what makes for Fab Service. So what’s behind customers not wanting to go “off road” when ordering at a restaurant or anywhere? Is it wrong to ask if there are feather pillows when staying at a decent hotel? The airlines have wised up to this idea and they charge you for it! Want an aisle seat? More money. Exit row? More money. Suitcase? More money. You can’t even get something to eat on some airlines without paying for it. So what’s behind the apprehension of asking for more? Is that viewed as putting the server out of her way? Or, is it that we shouldn’t expect anything more than basic service today’s businessworld of mediocre service? I’m not sure what the answer is but I know how we approach special requests. At Fabricare, we have a long list and a variety of special customer requests. Starch on shirts can be light, medium, heavy or none at all. Pants can be pressed with or without a crease. Shirts can be packaged in a paper bag, cardboard box, or a recyclable bag. They can be hung or folded. The list goes on and on. We even have one customer who likes his hangers turned the opposite way which is a pain because our whole production facility is designed for the hangers to go in one direction. Then we also have some customers who actually give us their own hangers! It is my belief, that we have a culture at Fabricare of giving people whatever they want. In fact, I truly believe we welcome the uncommon request because we’ve built our business and systems around it. Please respond to this if you have a customer with a unique request that we service. I recently went to Mexico on vacation with my family where we stayed at one of those all inclusive places. While down there, our US president gave his first oval office talk which was about, of all topics, building a wall to prevent Mexicans from coming into our country. I’m not saying that the wall is a bad idea nor am I going to get political but just setting it up as backdrop to the current environment while down here. It’s been 25 years since I was last in Mexico. I got familiar with the people and the culture while working on the advertising for the country in my former career. I quickly recalled on my arrival to this country the kindness and passion to serve these people possess. My three daughters got a kick out of the way the women staff would sing “holaaaa” letting the letter a hang on like a note in a song while flashing a big sincere smile. Not only do these people have a passion to serve with kindness but they are truly happy. It makes me doubt what I learned in my customer service training that anyone can be taught good service (which is the reason for this blog). Are some people/cultures naturally inclined to serve? These are the questions I ask myself as I’m constantly greeted with smiles and a willingness to serve my every whim. No surprise while down here, the staff would respond with “my pleasure” after we thanked them – one of our top service concepts. They smiled constantly- another Fab Service fundamental. 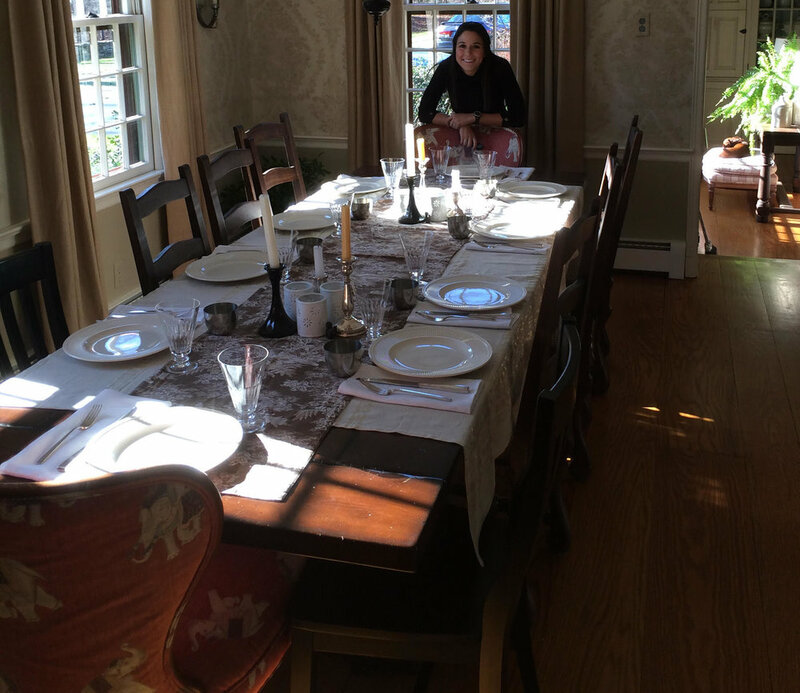 My family was regularly “surprised and delighted” with the service we received. These are all Fab Service concepts but the the most impressive thing here is that EVERYONE lives it. It’s pervasive and infectious. You expect this kind of service from the front desk or the waiters but when you get an “holaaa” and smile from the guy weeding in the hot sun, you know something is different here. More impressive was that I noticed they were like this with each other! They would greet their fellow co-worker with that same sincere kindness they showed to the guests. It was real! Although this may be cultural in countries like Mexico, it’s also prevalent in great companies which build a “culture” of service. Service has to be understood from our people at the front counter to the people pressing our shirts who never see our customers. This reminds me of a breakfast meeting I had in a restaurant in Greenwich. I got there a half hour before the place opened when the clean up crew was still there. It surprised me when they let me in and gave me a table while they got ready for the day? These were not the waiters and waitresses but the clean up crew and I wasn’t just 5 minutes early but a whole half hour. Why was I surprised? So often employees are trained to follow the rules and not the customer. So often employees are focused on the task and not why they’re doing it in the first place. The culture of service and kindness on vacation is the way I envision Fab Service and if it can be experienced in Mexico and Greenwich, it can be experienced here! Aren’t the holidays about giving? What’s it like to give the perfect gift or get the perfect gift? On Thanksgiving, we would all pull names out of a hat and that was the person you had to get a gift for. But there was a twist, you had to do nice things for the person for all the days leading up to Christmas. And, you had to do this secretly since your recipient was not supposed to know who had them as a Kris Kringle. The sneakiness made it all the more exciting as a child. You would come home from school and your bed might be made. Or there was your favorite candy bar on your pillow at night. Your chore was somehow done without you doing it. I remember there was also this feeling of kindness in the house which wasn’t always the case with 8 children! The tradition continued on Christmas Eve when we would guess who was doing the nice things for us. Some years it was hard because the person didn’t do much! Our family tradition continued even when we were married and living in different states. Gifts arrived anonymously in the mail and the feeling and spirit was the same as when we were all living under the same roof. Guessing became more difficult since the spouses were included but the fun was the same. I don’t think this is stretch to connect this to good service. The feeling you get when doing something for someone else is at the heart of kindness and good service (blog June, 2018). Or, the feeling you and the receiver gets when you surprise them with something they like is also the same with good service. In fact, this very idea relates to one of our top service concepts: “surprise and delight. So, this Christmas season, think of surprising someone you know or even a total stranger with a gift or act of kindness. I promise you will benefit as well as them. As Thanksgiving is upon us kicking off the holiday season and all that goes with it, it’s a good opportunity to talk about service. Our last blog was about hospitality and how that concept relates to service. We talked about thinking of service as entertaining and conversing with guests at our houses versus just giving out customer orders. This simple change of perspective changes one’s mindset from one of doing a task to one of engagement which completely changes the experience. Last year around this time, we posted a blog about gratitude and being thankful for our customers as well as the other gifts for which we are fortunate. As we stated in our very first Fab Service blog, the CARE in Fabricare stands for Customers Are the Reason we Exist. This is an easy concept to nod your head to when reading about it away from work. It’s also easy to forget when your dealing with the holiday rush and all of your customer’s stress levels are at their annual highest and they freak at the slightest mistake. The NY metropolitan area is arguably the most difficult place to work in the service sector. People expect and are willing to pay for good service and often won’t tolerate anything less. You can view this as a negative or an opportunity. Those who view demanding customers as a negative, are often heard complaining about this person or that, business owners included. But, as we noted in our blog about gratitude last year, customers have the ability to make us better, if we let them. When we learn from our errors and “demand” more of ourselves in anything, we improve. And guess what? Businesses that run excellently often attract demanding customers who appreciate their excellence. And consequently, those excellent companies have less issues and more satisfied customers during the holidays and throughout the year. As such, excellently run companies have less stress during the holidays as well. So, what can one do during the holiday season to make things run as smoothly throughout the year? Anticipate more volume. I think this goes for most businesses. Schedule more people than you think you might need. Anticipate more rushed orders. Customers want things yesterday and because they’re busier as well, they’re not as organized as usual. Communicate with your team. Make sure your system for special requests is understood by everyone and coach your staff on what to expect during the holiday season. Be excited! This is the time to shine and also a time when business increases. This is a good thing! Often you see customers you haven’t seen in a while and an opportunity to serve them again. So be grateful this holiday season and give some Fab Service! One of our top 10 service concepts is thinking of service as hospitality like you were entertaining guests in your home. This is how Danny Meyer the great restaurateur thinks of service. I like this concept as it elevates the “service” to more of an art form and one of engagement with a client versus just serving them. You’ll find things like, “Hospitality is the relationship between a guest and a host wherein the host receives the guest with goodwill including the reception and entertainment of guests, visitors or strangers.” I like that it includes “strangers” as well as friends. Shouldn’t we treat everyone with the same level of hospitality? A theme of this blog is looking at our jobs in service as more than just doing mundane tasks for customers. Hospitality is serving others but with a different perspective. How does this relate to handing out clothes at a dry cleaner? That is for each and every one of us to discover in our own style but, it’s not just about handing out clothes. That’s the message. I recently circulated a great TED talk by John DiJulian on the topic of service. He used the acronym FORD to summarize the four things people care about most and like to talk about. F is for family and usually the most important thing in anyone’s life. O is for occupation and the place where most of us spend the majority of our time. R is for recreation and it’s something we are passionate about or like to do in our spare time. D Is for dreams and what we hope for in our future. Understanding that these areas of one’s life are most important to them changes the perspective of how you view them whether in conversation or in servicing them. An example of this was given to me yesterday while I was discussing the role of management to our HomeCare manager, UB. I was asking him about a tiny pair of Ugg boots that had been lying around for more than the usual production time which usually indicates a problem. He said casually, that we had some problems with them in the cleaning but we called the customer to let her know. I said those aren’t just about of leather boots, they belong to a small child who is the most important thing in the world to that customer. They are willing to spend money on cleaning these tiny little boots because they adore them on their precious child. We then started to talk about UB’s little girl and what she meant to him and all of the sudden the boots took on a different level of importance on how we treated them and the service toward our customer. I think this is a good example for the topic of “hospitality” because we can stretch the idea on how it applies outside our home with guests and to a service where you often don’t see the customer. The title of this blog has become a phrase that a few of us at Fabricare use to make sure we handle a customer request or issue at the highest level. Although following up on something is a basic business practice, we want to have a conversation on how that relates to customer service. Let’s look at one example of how we use this concept. We recently cleaned a nice shirt, and it came out of the cleaning process without a button. The button was unique to this shirt and replacing it with just another button wouldn’t be the same. Often these types of “issues” cause employees to panic as they don’t want to tell the customer of a problem. But procrastination is the worst thing one can do when you won’t be able to deliver an order on time. Here are the steps on how we handled this situation, and how to handle similar ones. Reach out to others in your organization for ideas on how to solve the problem. Reach out to your industry contacts for solutions (e.g. fellow dry cleaners). Reach out to contacts outside your industry for ideas (e.g. retailers and manufacturers). In this example, we exhausted our resources and had to go directly to Gucci. This meant mailing the shirt to Italy so they could match the button exactly. We quickly sent the shirt while getting them to commit to an estimated time frame. At this point, use your calendar or some other system to make it impossible for you to forget to follow up. At Fabricare, we use the weekly clipboard for this as well as the calendar. Tell him what you’ve done, the next steps and the estimated time frame. Apologize again for the delay and empathize with him for the fact that clothes are seasonal and he is without his shirt for part of that season. Check on the status of the order on the date they gave you in step #4. Often businesses don’t have the sense of urgency you have with your customer and aren’t as committed to due dates. Check to see if it’s on schedule or going to be delayed. Follow up with the customer and tell him that you’ve been checking on it and that it’s on time (or delayed). If delayed, get the supplier to commit to another date and then follow up again on that date and repeat communication with your customer. We sometimes call this “closing the door” because even though things may seem resolved, they’re not really “good” in the customer’s mind. At this step, we communicate with the customer that the order is complete and we will deliver it immediately. Finally, at this last step, we again empathize with the fact that we didn’t deliver his order on time and as a result will put a credit on his account as a goodwill gesture. Issues come up in every business and most people understand that. How you solve these issues will often make the difference between making a customer for life or losing them. The upcoming July 4th holiday has me thinking about service from a different perspective. The servicemen and women gave for their country. Starting with George Washington who led his troops against all odds to win the freedom for Americans. Then when the war was over, Washington wanted nothing more than to return to his farm in Virginia and live a peaceful life. But the new country needed a president and no one was thought to be better than Washington for the job. Against his will, Washington accepted as he felt it was his duty to serve. What does George Washington have to do with customer service in today’s economy? I think to answer this, we have to get at the core of service and what it means to serve. We started this blog as observing that customer service is more than just handing a customer his or her order. Over the past year, we’ve written about kindness, honesty, listening to customers and more. We shared experiences in service that made us feel good and not so good, and we tried to translate it to how we can each provide better service to others. My nephew went on to say honestly he sometimes forgets his purpose when he has to do mundane tasks. When this happens, he steps back and looks at the bigger picture as to why he signed up in the first place. I’m typing this at the local Starbucks and, like every Starbucks I visit, the staff all seem to be really good. They’re certainly more service-oriented than Dunkin Donuts (in my opinion). Why? What’s their purpose? I’m curious enough to ask but they are pretty busy and I’ll have to save that for another time because I want to get this posted for the July 4th holiday! But if I had to guess, the staff sees a bigger purpose working for Starbucks which has a number of causes for which they are connected. So, ask yourself why do you serve others? What purpose does this serve? What satisfaction do you get from serving others? I think these are good questions for a dialogue for which I look forward to having with each of you. Have a great 4th and let’s all be grateful to those who serve us. Service is ultimately about being kind. When I first had the idea of developing a culture of service, I quickly wrote down the top ten “concepts” I learned over my 30 years in service industries. It wasn’t until my web designer told me there were 11, not 10 concepts that I realized I miscounted. As it turns out, the 11th may be the most important that I had heard while listening to a podcast on customer service. The 11th Fab Service concept we’ve all heard at some point in our lives “do unto others as you would have them do unto you.” Also known as “the golden rule.” The company featured in the podcast was The Colonel Littleton leather company. When the founder was asked what’s his secret to his great customer service, he said it’s simple and we have it posted in big letters on our factory floor. He was talking about the golden rule. Isn’t it that simple? Do we really need more advice than that? For some more ancient wisdom, I like to get advice from the Stoics who had some sound fundamental advice on how to live and behave. 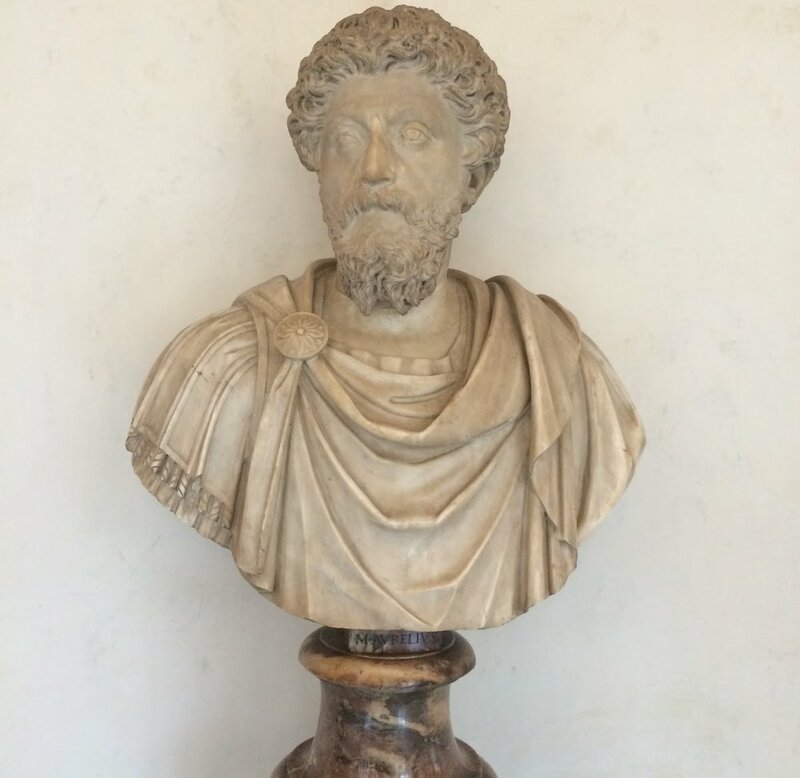 I’m most intrigued by the stoic philosopher Marcus Aurelius who was the Roman Emperor in the second century. Here the most powerful man of his day, and possibly ever, believed that joy in life comes from “acts of kindness to other human beings.” He wrote those words in his “Meditations” which was a diary to himself on how to be better. The Roman emperor writes that the secret to joy is being kind to others? Who was this guy?! In reading on customer service, I just saw that there are 1,324,570 books available on sales and marketing from Amazon and only 30,198 on customer service. Is it no surprise that good service in our world today is lacking yet we are bombarded by sales and marketing messages by the second? Being service-oriented is an attitude but it also has to be practiced. Reading about how to give good service is easy. Putting it into practice is another story. Reading about being kind is easy. Being kind when someone is rude to you is difficult. So how do you act kindly when a customer is demanding or even wrong about a situation? Like everything else in life – practice! Practice not getting upset when outside of your job. Practice not judging a situation before hearing the other side. Practice putting yourself in the other person’s shoes. Maybe he had a bad day or is dealing with some personal issues, etc. If Marcus was right, the service industry provides ample opportunity to find joy. I think it starts there. Being grateful for the opportunity to serve and being positive about it. That attitude will certainly result in kindness, which is the ultimate in good service. Burger King made that there theme line for many years and I can still remember the jingle from when I was a kid, “…special orders don’t upset us…have it your way at Burger King”. BK was trying to differentiate themselves from McDonalds who had fixed sandwich selections. For a fast food restaurant, this was a great differentiator. Fast and however you like it. “I’ve cracked the code” a recently married man exclaimed. “I say to my wife, guess where I’m taking you for dinner and wherever she guesses I take her there!” This is an example of our second top service tip noted in the first blog- “listen to what the customer wants and give it to them.” No, your spouse isn’t your customer, but as we’ve said before, we’re about service to all! I learned this while at the Zingerman’s customer service training class in Ann Arbor Michigan. To show they practice what they preach, on the second day of the training, I found a Zingerman’s candy bar on my desk. I was the only one. I didn’t know why and then I realized, the day before, my friend sitting next to me was eating the same candy bar and I said “that looks good.” The trainer overheard me and placed it on my desk before the class began. Listening to the customer isn’t always direct but sometimes subtle. Sometimes they’re not even asking or know what they want! At a recent meeting with some of our managers, I ordered some lunch with Uber Eats. I noticed that each of our 4 orders had a special request. One no onions, one special dressing, etc. I asked our team whether they thought the restaurant (where we frequent often) would get all of orders right. Vanessa, our GM, said a quick no understanding how difficult this is. I thought, given that the special requests were typed in and part of the Uber Eats app, that they’d get it right. At Fabricare, we have pop up messages that notifies the customer service team of an individual’s preferences so the team member invoicing the order knows exactly how a customer likes his order. We also have the customer’s special instructions print on each invoice for everyone to see as the order goes through the whole cleaning process. Yet despite our sophisticated point-of-sale system and these direct requests, and our concerted effort to get the customer’s order correct, we still fail sometimes. As I’ve noted in previous posts, writing these blogs helps me solve some issues as well as share our passion for service. I’m not writing to brag about how good we are. In fact, as I’ve stated in the outset, we have set out primarily to improve our business and be an example of great service for any industry. So why do we fail to get special request right 100% of the time? When I think of the concepts in this blog and what we’ve learned, I would start with the idea that it’s not the employee’s fault. We have learned that mistakes are often rooted in either poor systems or good systems with poor training. I will answer the above with a “no” and begin the process of focusing on how we can make special requests systematic and then train from it. Stay tuned…….. I recently went on a golf trip and upon arriving at the airport found my bag damaged. As you can see from the pics, it looked like it was dragged all the way from Connecticut to Florida. Since these blogs try to get at the heart of how a customer feels through service, I tried to relate how my customers must feel when they get something damaged. Because this was just a golf bag and although there was additional damage to the things on the inside, I really didn’t have any emotional attachment. In fact, I kind of needed another one anyhow. What I did care about was the fact that no one brought it to my attention. The staff for the airline just threw the ripped bag on the conveyor and left it for me to decide what to do. Being in the service business and one that deals with lots of damaged goods, this experience made me think of how could this happen? How is this similar to other businesses? Is it expecting too much for an employee to bring damaged items to a manager’s attention? Is this not common sense? Does this have to be trained? What should have happened? I’ll start with the business I know and with first-hand experiences with this kind of thing. Recently, I got involved with a customer who received a tablecloth back with holes in it. For those of you reading these blogs from the beginning, you will recognize this as a Code Red which is how we report any negative customer experience. Our system is to contact the customer when we see any damage whether it’s caused by the cleaning or inherent in the fabric. If we can’t contact the customer, we put a note on the piece and record it in the POS. Because we failed to note the customer in advance, the conversation was much different. There was a loss of trust in addition to the disappointment. Think of how the conversation would have gone if we were to have called in advance and explained that the fabric was weakened and came apart in the wash. Compare this to the reaction of the customer when she goes to set the table and there’s a hole in the tablecloth. Guess what the topic of conversation will be at dinner?!!! Here’s another experience which, I am guessing, is a result of training. Another travel experience but this time with a rental car company surprised me with some over the top service. Upon returning the car, the employee asked: “how was everything?” My wife said fine except there was a bit of a smokey smell. Although the employee didn’t say anything, the manager, who overheard, came over and apologized and gave us a $75.00 credit toward our next rental. The reason I think this is training and a strategic customer service plan is that I had a similar experience with the same rental car company where they generously offer credits when there is not really a complaint. Let’s start with the feeling we had when the manager gave us a credit for just mentioning our experience was just slightly sub par. “Surprise and delight” is one of our top service concepts and that is a pretty good summary of our feeling. Could there also be a retention strategy here where the credit is used to build loyalty and get customers to return? The fact that this happened twice and I’m not a frequent traveler leads me to believe it’s part of a bigger plan. What’s wrong with a compensation strategy that is good customer service and builds loyalty? Nothing! I ended up getting an $80 check for my damaged luggage but still felt disappointed that I had to be the one to complain and haggle for compensation. If only they had brought this to my attention in advance, I’m sure I would have had a completely different experience. © FabService 2019. All rights reserved.